Spurred on by the lightening growth of its WeChat app (the king of Chinese instant-messaging with over a billion users), Tencent has come full-circle, from copying US tech giants, to inspiring them. With a personal fortune of 47 billion dollars, the richest man in China remains something of a mystery. Ma Huateng, nicknamed Pony Ma, graduated with a degree in IT from Shenzhen University in 1993. Whilst working for a Chinese telecom’s group, he saw first-hand, during a trip to the United States, the boom in applications, especially those for instant messaging. Back in his homeland, he decided to set up Tencent, and launched a copy of an Israeli messaging service called ICQ in the Chinese market at the start of the 2000s. Entitled QQ, the service quickly became popular, although it was not an instant game-changer for the company which, throughout the decade, acquired the reputation of a copycat, only concerned with replicating products that had known success in the West. All that changed in 2011, when the Shenzhen-based enterprise, flushed with cash from its video game service, launched WeChat. The objective was simple, capitalize on the smartphone boom in China and become the number one messaging service. Success was immediate and phenomenal. These days users of WeChat spend 90 minutes per day on average on the app, two times as much time as on Facebook, Instagram and Messenger combined. With 75% of Chinese people using the app on a regular basis, WeChat is among the most downloaded apps in the world. At first glance, the profile of Pony Ma has a number of striking similarities with the big names of American tech. A self-made man, he gives a significant proportion of his fortune to charitable works. Like Mark Zuckerberg, he likes to invest in promising startups and avant-garde companies; Ma has acquired 5% of Tesla. However, when it comes to Tencent’s economic model, Ma does things differently from the Silicon Valley Wunderkind. Tencent does not sell access to user-data to third parties, such as advertisers. The data of the Chinese app is to all intents and purposes the handsets of the users. “It would have been possible to compare We Chat to Facebook, Baidu to Google or Alibaba to Amazon ten years ago, but that’s no longer possible today,” insists Matthew Brennan a consultant specializing in Chinese IT. The secret of WeChat’s success is that it comes prepacked with a multitude of other apps, such as for ridesharing or music streaming, taking the decision to download a specific Tencent app out of the hands of the consumer. “There is almost nothing that you can’t do with WeChat,” says Martin Pasquier, Innovation is Everywhere’s managing director. The most widely used of WeChat’s secondary functions is WeChat Pay. Until recently, Chinese people’s attachment to paying with hard cash was the norm. Nowadays, e-commerce represents 14% of all retail sales, against 8% in France. With WeChat Pay, you can use your phone to settle a bar tab or pay an electricity bill. Even the famous hongbao red envelopes Chinese use to exchange monetary gifts are being replaced by the application. During the 2017 Chinese New Year period, 14 billion transactions were carried out using the app. 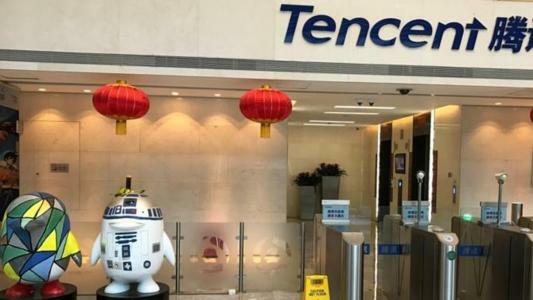 “Tencent has taken advantage of the lack of a developed banking sector in China, where the use of credit cards is not commonplace,” adds Brennan. By cannibalizing all the different services available on smartphones, WeChat has become a killer app, which the competition find impossible to match. The Tencent model is not unique in China. The group’s ecosystem has a direct, home-grown rival in Alibaba, the number one e-commerce company in China. Jack Ma’s company possesses Alibaba Music (streaming), TaoBao (e-commerce) and Ofo (bike-sharing), among others. Search engine Baidu has developed bitauto (online automobile content) Uxin (web-based vehicle reseller) and Baidu News (media). “For Chinese startups, the only way to grow in today’s market is to receive investment from Tencent or Alibaba, but they cannot work with both, such is the rivalry between the two giants. Startups are seeing more and more barriers to being in both ecosystems at the same time,” concludes Pasquier.